This plant is large in comparison to the ubiquitous blue gentians. 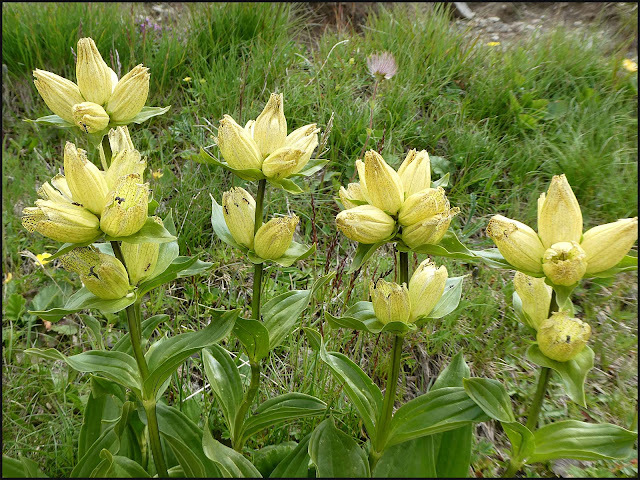 Stems of up to 60cm in height are topped by clusters of upright bell-shaped pale yellow flowers with purple spots. 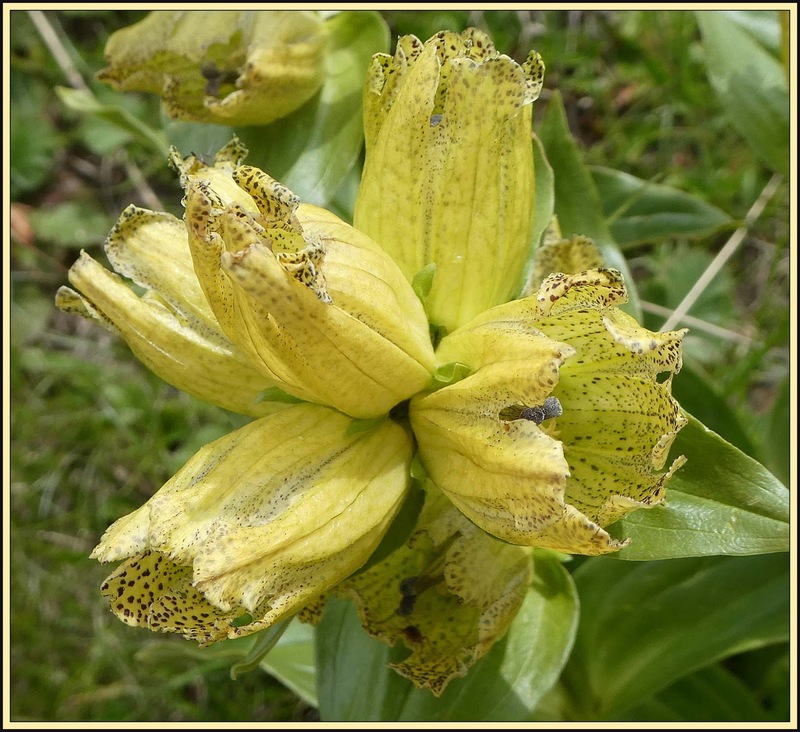 It’s not to be confused with the Great Yellow Gentian, which has pointed petals and no spots. These specimens were seen on the Col di Lana on 10 July 2018.